1 Tourists Go Home !! 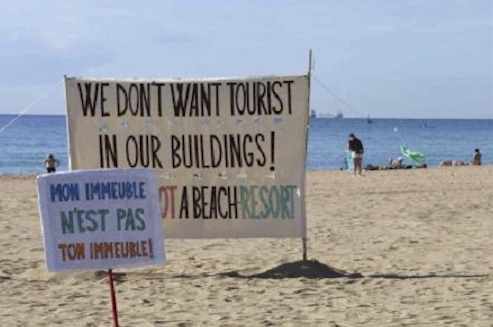 The increase in the price of rents, caused by the interest of many owners to convert their properties into holiday homes, (in some cases without licenses) is forcing many residents to leave their homes and move to other areas with less tourist pressure cone the nearby Badalona. Barcelona with a population of 1.5 million inhabitants received more than 8 million tourists in its hotels in 2017. 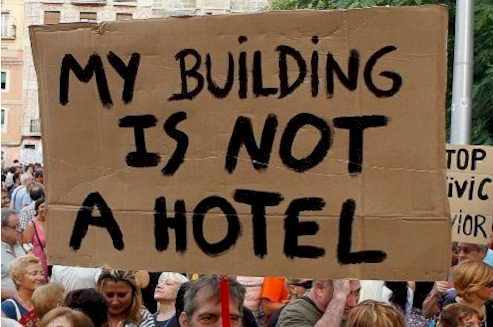 In August 2016, the Colau government sent a controversial letter to the residents of Barcelona asking them to denounce the illegal tourist flats and the city now has a group of inspectors who are dedicated to verify that those who rent out their homes to tourists have licenses in order. 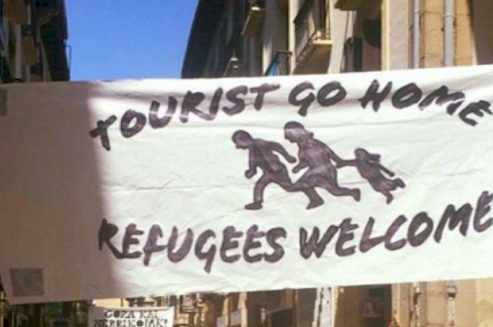 Barcelona is the city that most hate tourists. Not only are there street protests, there are also acts of vandalism. 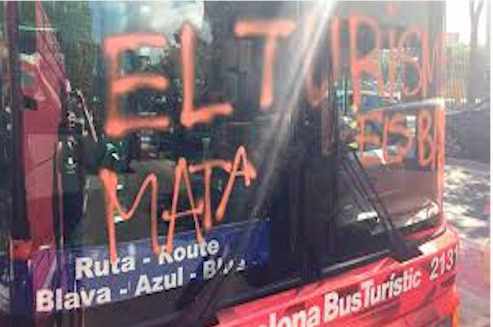 Specifically we are talking about the serious act of vandalism against a tourist bus, in which the tires were damaged and graffiti was made. All this with tourists on board. The bus was interrupted by surprise in the middle of the street. The group of activists who made this attack is called Arran and also made other acts in Palma de Mallorca. Arran, the youth wing of the radical CUP (Popular Unity Candidacy) party, has claimed responsibility for these act and anti-tourism campaign. 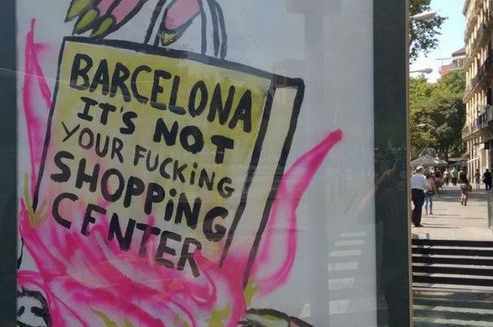 We came to the conclusion that the city of Barcelona is the one that most hate tourists. Magaluf in Palma de Mallorca is a destination where residents are considered the destination of drunken tourism. Beaches and streets full of drunken tourists and in some cases, naked. Diario de mallorca : show-turista-borracho-desnudo-magaluf. Possibly one of the first cities not to be friendly with tourists. It is especially noticeable if you want to visit churches away from traditional circuits. In some with casteles that only let enter the people who profess the cult. And in the larger ones, the spaces reserved for worship are much smaller than those for tourists. They complain and a lot. It is noted that it is a city occupied by mass tourism. 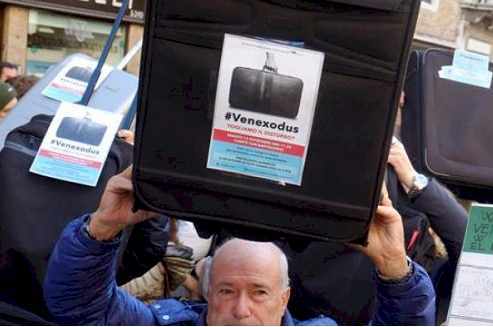 The inhabitants of Venice flee from the urban center due to the increase in the price of housing and the invasion of hotels and apartments dedicated to tourism. In the mid-twentieth century Venice had 175,000 residents. Today in Venice there are about 54,000 people. It receives 20 million visitors per year. The wear generated by this tourist boom is such that Unesco threatened in 2016 to withdraw the distinction of a World Heritage City (1987) and include it in the list of “heritage in danger”. The City of Venice is also studying a system to alert tourists when they have reached the top of visitors and thus prevent them from coming. In addition, it has created the Geoportale website, where residents denounce anonymously the unregistered tourist flats. 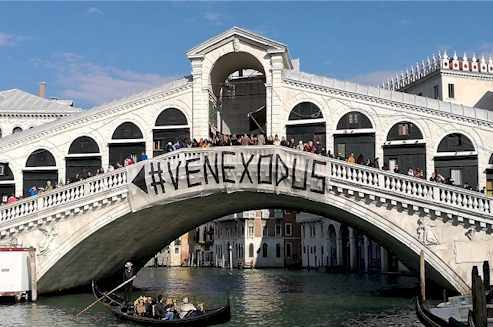 We conclude that the city of Venice hate tourists, although not to the extent of direct actions against tourism. Thailand, one of the main destinations for backpacker tourism. It seems incredible that this country with cultural roots that show kindness to foreigners appears on this list. We included it because in May 2016 the Thai government decided to close several islands to tourism. Some of them are Koh Khai Nok, Koh Khai Nui and Koh Khai Nai. These are common destinations of backpackers, and the local government understands that they produce a high degree of environmental deterioration.It is a system of selection and protection that was implemented in the style of Bhutan. There for sightseeing you have to pay U$S 250 per day per person. The transfer, lodging and guides are included. Bhutan is not on this list, since he never rejected tourists, but began to open up to tourism in the decade of the 70s with this method. Since it became the setting for the movie “The Beach”, this tropical paradise has been under a lot of pressure because of the wave of tourists it receives every year. According to the Tourism Office of Thailand, both Koh Phi Phi and the surrounding islands receive more than 1.4 million tourists a year. 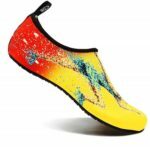 The anchors of boats and divers have destroyed coral reefs, and the marine environment has been affected by the pollution of motor boats and the discharge of sewage into the sea. Amsterdam is another city that is harassed by tourism. The Newspaper The Independent takes the speech of Frans van der Avert, executive director of Marketing of Amsterdam, at the recent World Tourism Forum held in Lucerne: “Cities are dying for tourism, no one will live longer in historic centers. We will not spend more on the commercialization of Amsterdam, we do not want to have more people, we want to increase the quality of visitors, we want people who are interested in the city not as a backdrop for a party: We see many visitors without respect for the character of the city. With 850,000 inhabitants, Amsterdam receives 17 million tourists a year. The city has focused on regulating accommodation to avoid crowds. In the center, hotels can not be built since 2015 and the time that a tourist apartment can be rented is limited to a maximum of 60 days. “We are the first city to reach an agreement with Airbnb, if a host passes the days allowed, they will erase the profile”, explains a spokesman of the Consistory. In addition, they have reduced from 60 to 20 the number of tourists that each guide can attend at the same time. “Limiting the people who arrive is difficult, but with this measure we try not to have many visitors in the same place at the same time,” says Deputy Mayor of Amsterdam, Kajsa Ollongren. The City Council has also approved that in five years the cruises will disembark on the outskirts of Amsterdam and not on the canals of the center. In the city it is not allowed to make parties in the streets, nor the entrance of tourist buses to the center. 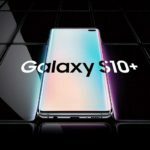 “We are also working on regulating and limiting the free tours and the maximum number of electric scooters and taxi-bicycles so there are no crowds,” adds Landuyt. It is one of the most famous postcards of Italy: five picturesque fishing villages cataloged as World Heritage, linked by narrow and bucolic paths. Enough beauty to attract 2.5 million tourists a year. According to The Independent, its managers plan to put a maximum number of tourists of 1.5 million annually. Once surpassed, access to tourists will be closed. The most popular Greek island has said enough. There is no place for a cruise or a tourist more. In the summer of 2016, 10,000 cruise passengers arrived daily. The authorities want to limit that number to 8,000 as of this year. Permanent traffic jams on highways where cars intermingle with motorcycles, trucks and even mules; problems in the supply of drinking water or electricity, as well as in the management of waste are some of the symptoms of the saturation that this island has suffered for years. Santorini has not been able to cope with the exponential growth in the number of permanent inhabitants – from 6,200 in 1971 to 25,000 today – and the arrival of some two million tourists a year. To the natural problems that derive from the overdose of tourism, as the astronomical rise of prices in general and of rent in particular, the population suffers many other difficulties. There are not enough school places, doctors are missing and the new hospital can not even meet the needs of the inhabitants. 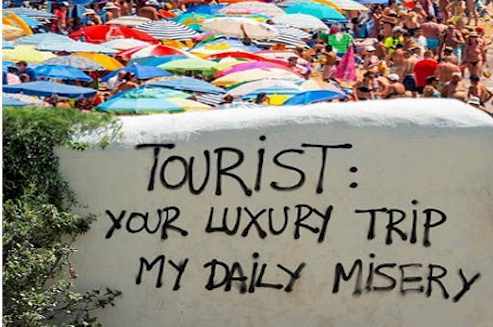 Bruges, Amsterdam, Cinque Terre and Santorini are places that tourists hate? The answer is no. 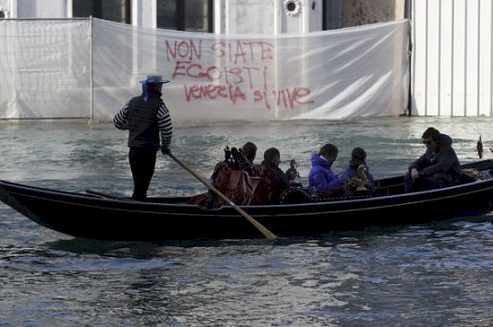 They are only taking precautions not to get to the point of Venice, or Barcelona. What is the problem with Iceland? 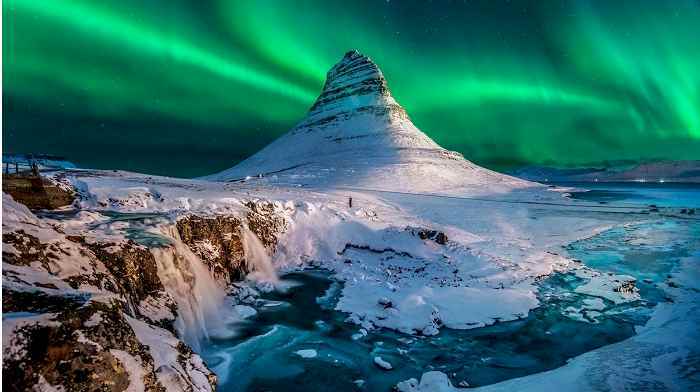 : Since June 2015, the number of visitors to Iceland increased by 78 percent compared to the previous year. But there is more. By the end of the year 2017, it was reported that that year they had received no less than up to eight tourists for each resident. The country’s infrastructure, which comfortably serves a population of 350,000, has entered into a kind of collapse. The main attractions located in the national parks (Gullfoss and Thingvellir waterfalls) are suffering the same phenomenon. That is why they are reevaluating their tourism strategy. While they are satisfied at the moment, they do not want the problem to enter a terminal phase. As in the case of Venice. Regulations have been introduced for rent by Airbnb, where you can only rent your rooms up to 90 days a year. An infrastructure plan has also been addressed to meet the demand. They also recommend enrolling in a tourist group called Hidden Iceland, which promises to take you to where the hordes of tourists do not exist. There are equally impressive places like the blue lagoon, but less known. While they are not against tourism, the Icelanders are already taking precautions to not become a new Venice.